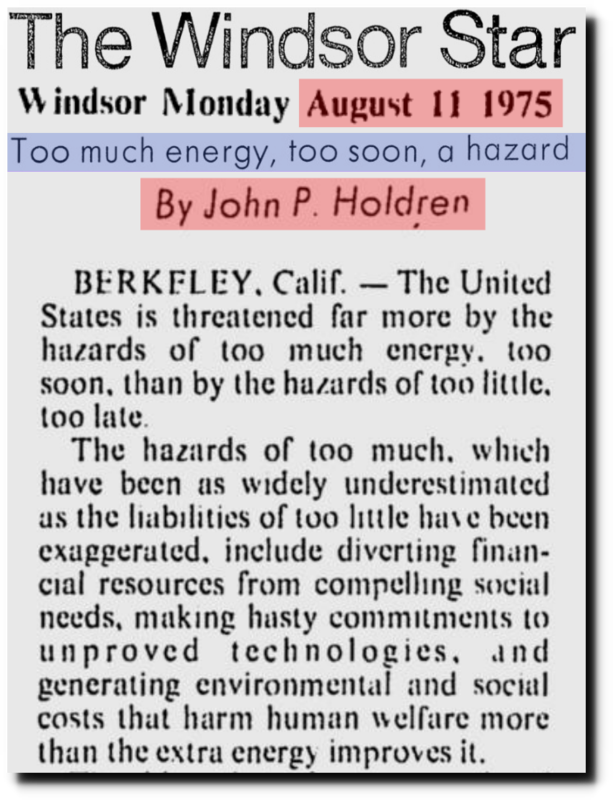 In 1975, President Obama’s future science adviser was calling for policy driven energy shortages in the US. He cited the danger of diverting resources to unproven technologies, which is exactly what he and the Democrats want to do with wind and solar. Calssic projection. President Obama attempted to choke of the US energy supply and make energy unaffordable for poor people, but the fracking boom (on private land) ruined his plans. My plan necessarily makes electricity prices skyrocket. 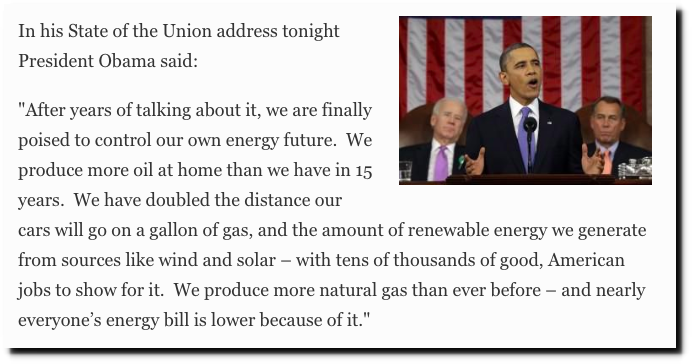 As you would expect with Obama, he later tried to take credit for the fracking boom. Dishonesty, deceit, hatred of America and treachery made Obama a messiah for leftists around the world. The Secular Socialists absolutely abhor the entire energy industry in the USA, because they have been unable to institute their largess, other than ban drilling on Federal Lands, limit leasing on offshore tracts and virtually outlaw construction of nuclear power plants. Obama’s attacks on coal fired power plants that at the time generated nearly 50% of electrical power was intended to cause an power shortage where he would have a photo op of dragging frozen grandmas out of the ghetto that he and the MSM could blame on the energy industry. The senatorial show trial to follow would conclude that only the federal government could fix the problem. Fortunately, their knowledge of the subject matter was limited and the production of natural gas more than replaced their destruction of the electrical generation capacity and the crisis was averted. Every parking lot in So Calif is covered with a bulky steel framework supporting PV panels, blocking out the blue sky. What an environmental mess! Very thankful for President Trump. Vote straight republican this election. Boy, am I glad he’s gone! Quintessential leftie (“Community organizer” means finding the peoples wound and “rubbing it raw!”) : Create a problem, blame it on someone else, then offer a solution. It’s always Big Brother conning the Eloi. Funny. This jacka$$ actually held the office of president for awhile.